Wappingers Pump Station Piping Modifications – KC Engineering and Land Surveying, P.C. KC provided the design, preparation of contract documents, and engineering services during startup and construction. The pump station was constructed in 1985 and, over time, two of the valves in the discharge force main became inoperable. 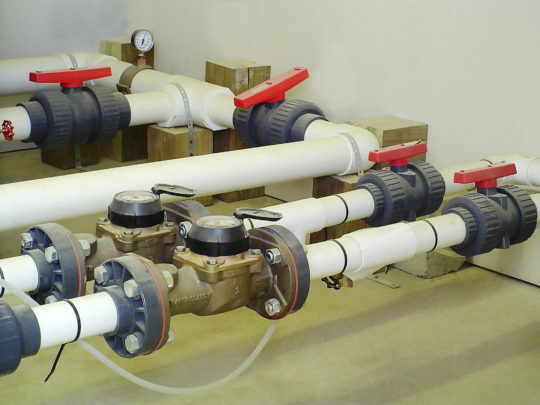 It was determined that the best solution to control flow from the pumps to the force mains was to modify the piping in the pump station and add a new valve. Some project tasks included installation of temporary piping to carry the sewage during the work, modification of the surge relief piping to make room for new sewage piping, and installation of control valves and new sewer sections from the pump station to the existing flow meter.